Our simple online system lets you track the progress of your project with a click of a button, or easily communicate with our team 24/7. It’s that easy. Proceed to login. 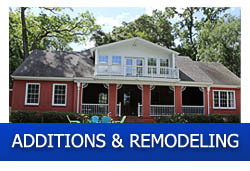 Leister Construction is a family owned and operated construction company that specializes in Residential Design & Build, Additions, Remodeling, and light Commercial Build-outs. We are based in Jacksonville Florida serving all of Northeast Florida and as far south as Orlando. With consistent annual growth since opening in 2006, the company’s success and growth is due to its enduring commitment to client satisfaction. Leister Construction’s diverse on the job experience allows us to provide practical, cost effective, and attractive solutions to meet the clients needs for any project. Utilizing our network of proven suppliers to enhance the beauty and integrity of our clients’ residential and commercial projects, our team is committed and held to the highest standard of excellence. 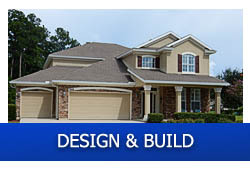 Thinking of building a new home, remodeling your current home, or need more space and looking to add onto your existing home? Then contact our experienced team of experts. Our personable and knowledgeable team is ready to help you through every step of your project, from design to completion. Copyright © 2019 Leister Construction. All Rights Reserved.